If you are using a Phoenix Android Radio with the phone mirror link, you receive a message when you attempt to mirror a video on your phone, such as a YouTube video. The message prevents you from playing the video on your Phoenix Android Screen. M3u8 format is not currently supported, please drop out of the video and restore the screen. 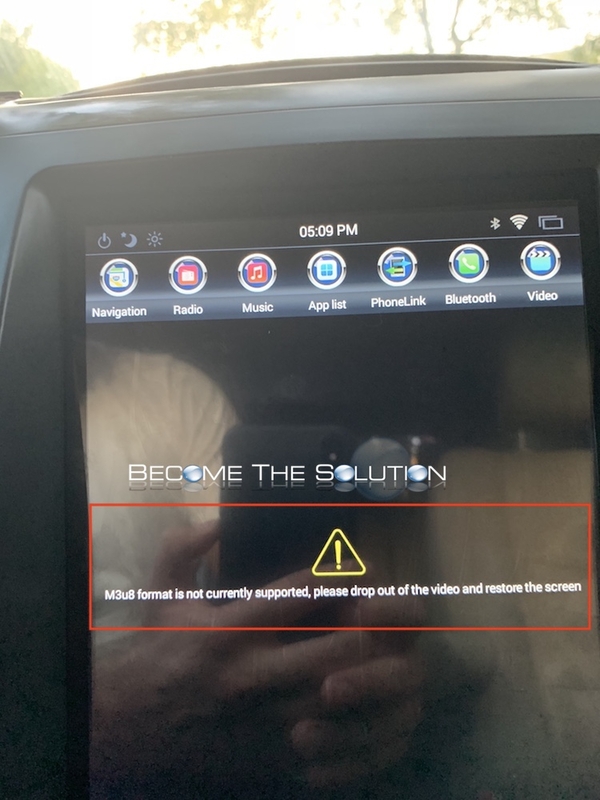 This is a known issue “bug” with your current version of the Phoenix Android OS installed on your radio. It will be corrected in a future updated version. Phoenix Android Radio has also acknowledged this.